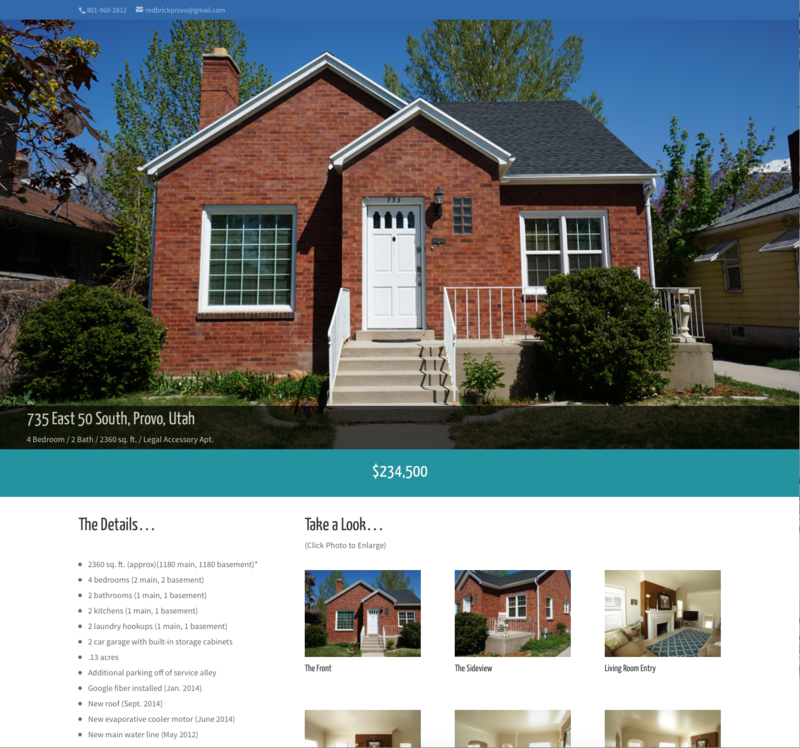 Red Brick Provo is a build to help sell a home in Provo, UT. Between the classic red brick, the curvy flower beds, and the ample porch just begging for some matching rocking chairs, this irresistible charmer will have you believing in love at first sight. 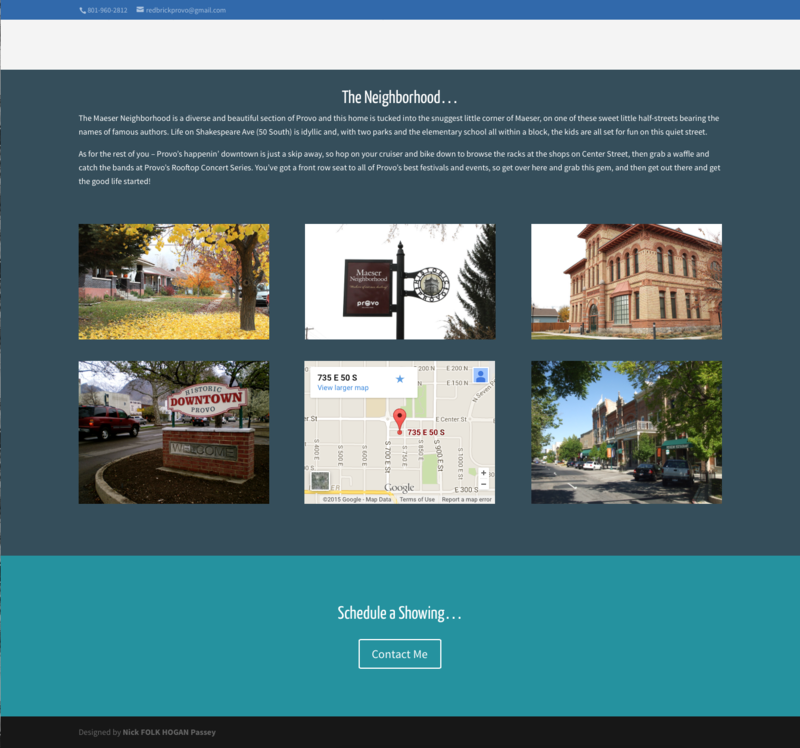 redbrickprovo.com is the creation of my girlfriend and I to help sell the home she owns in Provo. 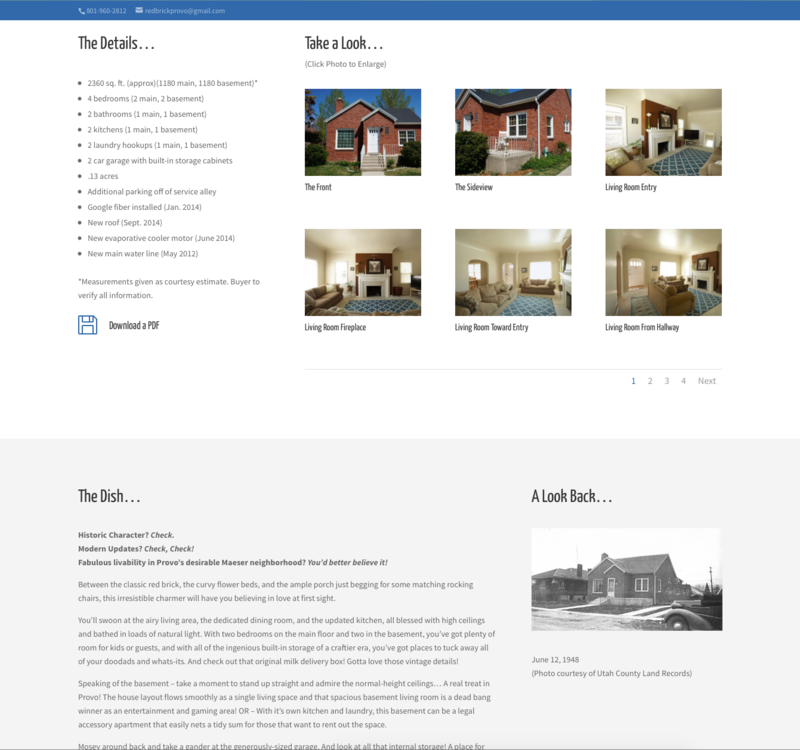 She did all the heavy lifting and took all the photos for the site as well as wrote the content.